The Arts Market, held the last Saturday of every month in Palmer Park, has a become a popular event. 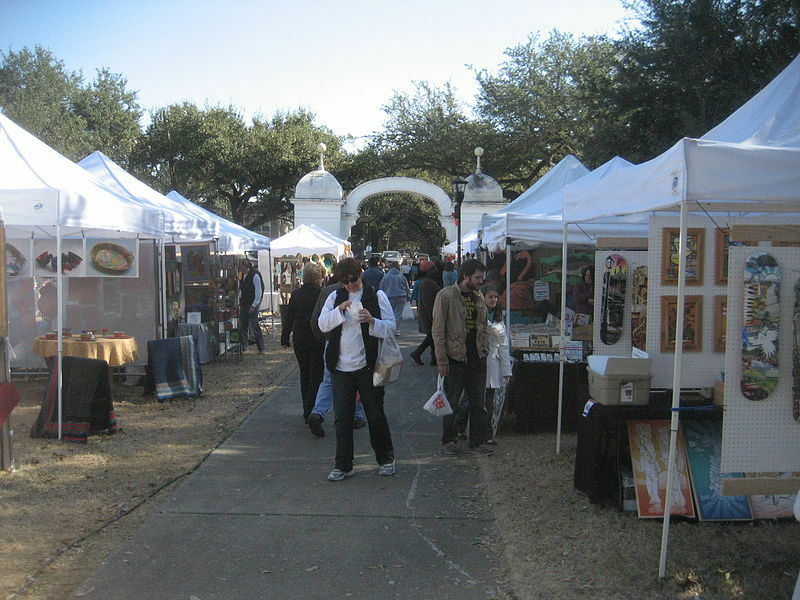 The market, sponsored by the non-profit Arts Council of New Orleans and held in Palmer Park since 2007, features over one hundred local artists, craft people, food vendors, and musicians. The November and December markets are holiday-themed and last both Saturday and Sunday. The park is also the site of the annual Carrollton caroling, an event originally began in 1979-when it also featured a live nativity scene-and revived in 2007. Holiday celebrations in the park go back over eighty years. In 1930 the city for the first time decorated trees with colored lighting, including the oak trees in Palmer Park. On December 25, 1933, the Old Regular Democratic Organization distributed toys to children while a 60 person band played Christmas songs. In 1946, Palmer Park was the site of “Yule Fest” on Christmas Eve. The event featured the Loyola University male choir singing carols; speeches by the mayor, the president of Loyola, and the pastor of St. Andrew’s Episcopal Church; and the “Carrollton Tree of Life,” a Christmas tree that had electric lights fit by the city engineer. In 2011, new playground equipment was installed. The project, spearheaded by the Friends of Palmer Park, was a partnership with Kaboom!, a national non-profit dedicated to building playgrounds, Disney, and local volunteers. Children can often be seen in the new playground, marking a striking contrast to efforts for decades to keep playground equipment and sports out of the park. 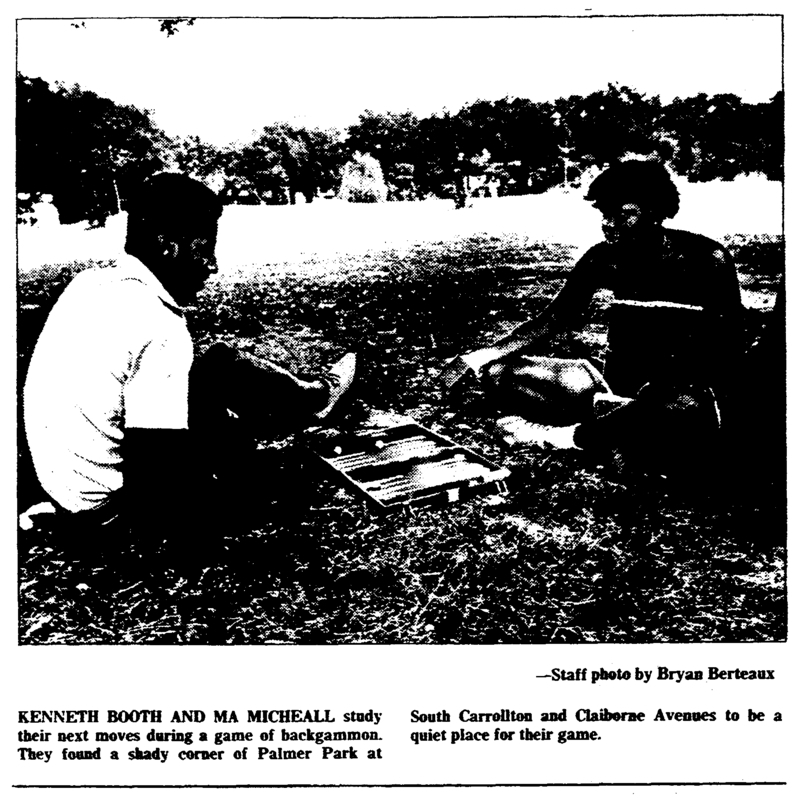 Kevin McQueeney, “The Arts Market, Holidays, and Playground in Palmer Park,” New Orleans Historical, accessed April 19, 2019, https://neworleanshistorical.org/items/show/665. "The Calendar." 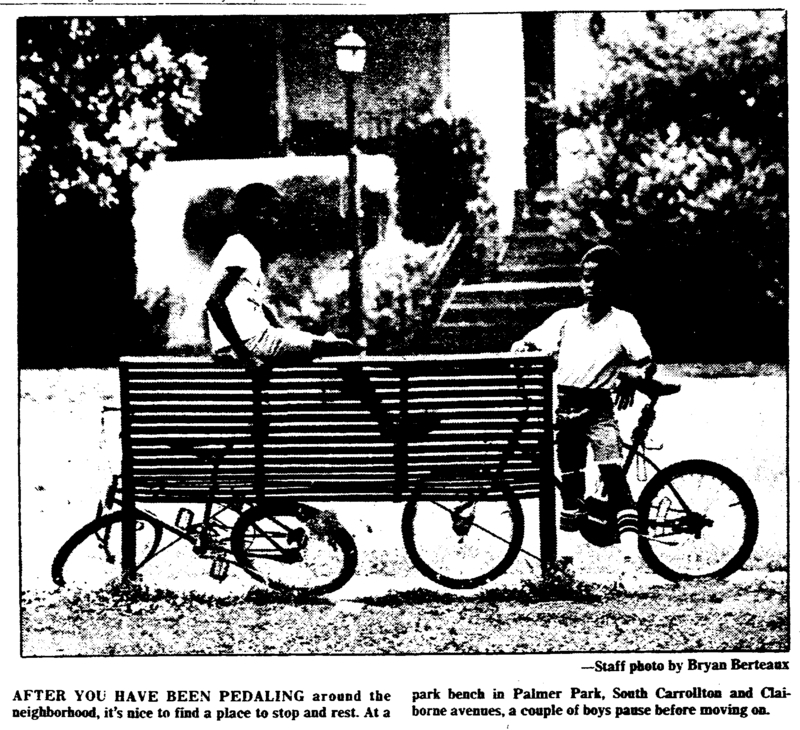 The Times Picayune October 20, 1980. "Caroling in Palmer Park." 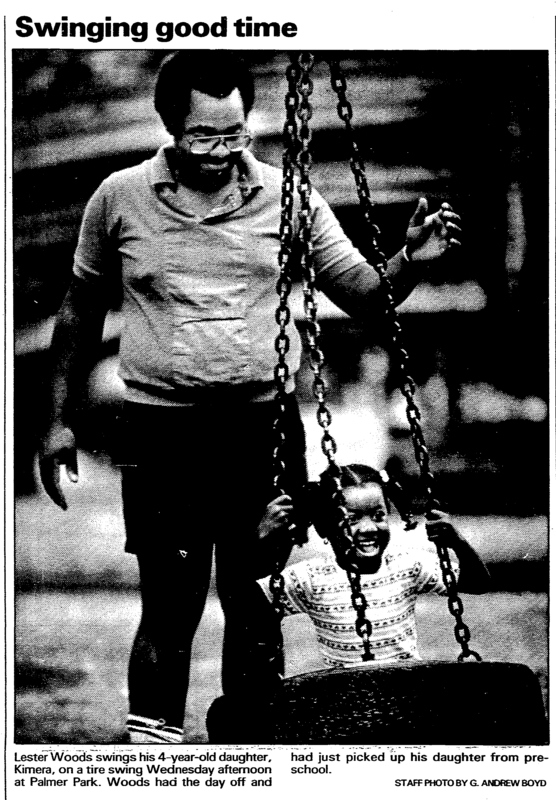 The Times Picayune December 10, 1982. "Colored Street Lights Planned During Holidays." 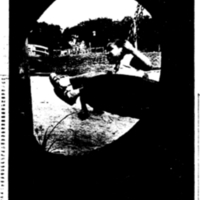 The Times Picayune November 25, 1930. "New Playground is Born at Palmer Park." The Uptown Messenger June 6, 2011. "Originator of Carrollton Yule Tree Helped Another." The Times Picayune December 22, 1946. "Toy Distribution to Music Planned." The Times Picayune December 22, 1933. "Yule Fest is Set at Palmer Park." The Times Picayune December 6, 1946. 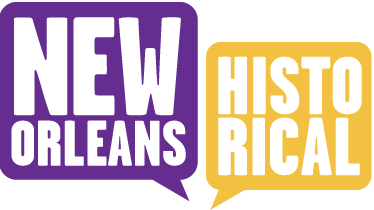 Arts Council of New Orleans. http://www.artscouncilofneworleans.org/. Arts Market at Palmer: http://www.artscouncilofneworleans.org/index.php?topic=artsmarket. Pictures of the Kaboom Build in Palmer Park: http://kaboom.org/build_playground/photo_galleries/palmer_park_new_orleans_la.